The San Diego Padres potentially have the left-side of the infield locked up for a long time. Manny Machado and Fernando Tatis Jr. provide stability for an organization that hungers for semblance. At the start of the off-season, the Padres waived Cory Spangenberg and Carlos Asuaje. They sold Christian Villanueva to the Yomiuri Giants of Nippon Professional Baseball in Japan. The Padres also released Chase Headley midseason and decided not to resign Freddy Galvis who played all 162 games last season, leaving them with a gaping hole on the left side of their infield. 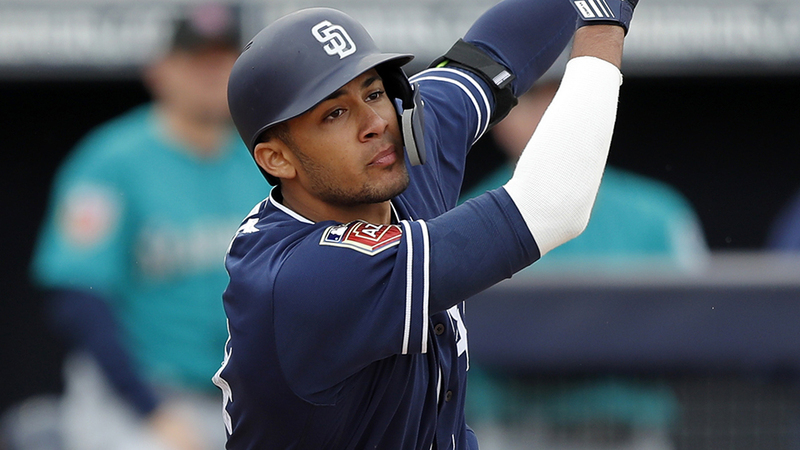 While third-base remained a murky situation for the Padres for most of the off-season, their ideal shortstop of the future, Fernando Tatis Jr. had been crushing baseballs in the Dominican winter league. 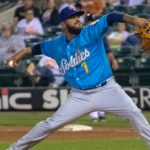 In what is arguably the most competitive winter league, he helped lead his hometown team, Estrellas Orientales, to the title. But it wasn’t just leading Estrellas to their first title in over 50 years that sets Tatis Jr. apart from his peers. He brings a different level of energy and passion for the game. His bat-flips are in a league of their own, and his enthusiasm is unparalleled in the Padres organization. Dubbed the savior of the Padres with his #2 Prospect Ranking according to ESPN, Tatis Jr. has lived up to the billing, exceeding at every level of the minors and winter ball. It is now just a matter of weeks before he makes his MLB debut in San Diego. 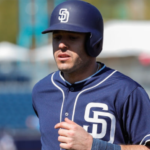 With their shortstop of the future just weeks away in Tatis Jr. the Padres still needed to address the hole in their infield at third base, and for most of the offseason, it looked like it was Ty France‘s spot to lose. Enter A.J. Preller. The Padres General Manager signed Manny Machado to what was at the time the biggest free-agent contract in baseball history, ten years $300 million. Machado immediately solved the other Padres’ problem on the left side, with his gold-glove caliber defense at third base, and All-Star ability with the bat. He immediately intrenches himself at third base for the next ten years, and brings an impact bat to the middle of the lineup, while improving the team at what has been their weakest position for several years. In addition to being an impact bat and a Gold-Glove third baseman, Machado wants to be a leader to the younger guys in the clubhouse. 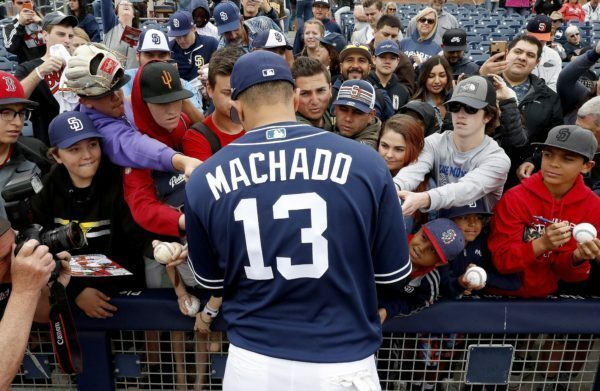 He is also lobbying for Tatis Jr. to make the opening day roster, and while this is farfetched, it proves how good Tatis Jr. is and how Machado is ready to be part of a winning baseball team in San Diego. “We’re a different team when he’s in the lineup, different when he’s in there at shortstop. If he’s in there, we’re going to be a dangerous team. We’re all rooting for him to break camp with us.” said Machado in a recent Sports Illustrated article. 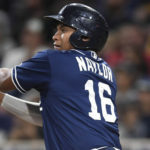 The four-time All-Star wants to be on a winning team and believes Tatis Jr. is a crucial piece to winning in San Diego. Part of creating a winning culture is veterans embracing the young players in camp. With a sizeable Dominican presence in the clubhouse and players such as Machado, Manuel Margot, Franmil Reyes, Franchy Cordero, and Tatis Jr. It’s easy to see Machado fitting in and mentoring these young players who all have star potential. Mentoring young players is essential to creating a winning culture and bringing in someone like Manny Machado, who is willing to teach young players and help them mature will only benefit San Diego in the long run. 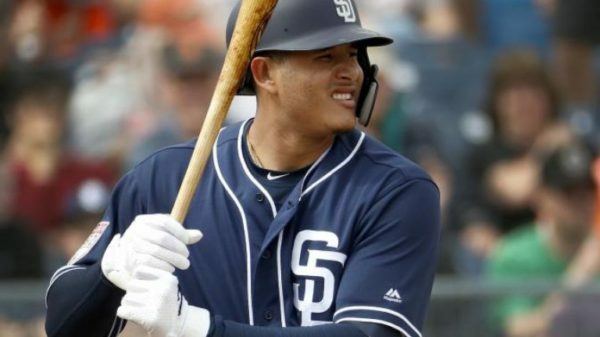 Machado sees a lot of himself in Tatis Jr. They both made their way through the minors quickly and were both pushing for that first call-up as 19-year-olds. 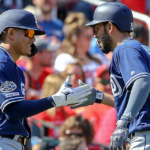 Having someone who has gone through the same struggles, you have gone through in the minor leagues and is willing to mentor you must be encouraging from Tatis’ point of view. From the Padres perspective, having your systems number one prospect play right next to your franchise player will only help both players and your team improve as they feed off of each other’s energy and talent. 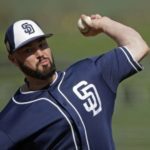 Heading into the off-season, the left side of the Padres infield was their biggest question mark, now it is their greatest strength. 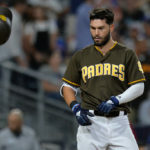 With the left side of the infield all but set in stone for the next decade, the San Diego Padres can look to the future knowing they will soon be pushing for the playoffs, and it will be the prospect and the All-Star leading the charge into the future. 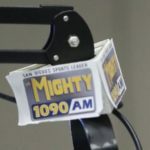 Previous What’s Next for the Padres’ Manuel Margot? Over/under for the left side of the IF WAR? 6.